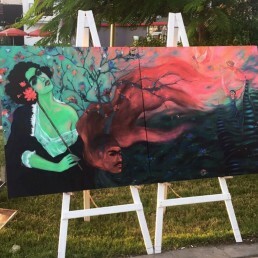 Earlier in November Ayla Oasis hosted its second International Art Symposium, which invited 20 leading Jordanian, Arab and international artists to showcase their creative works over ten days. 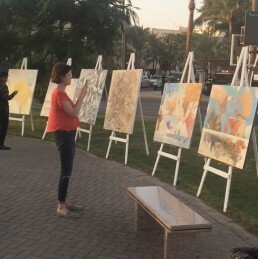 artmejo attended the event as a Media Partner to bring our audience highlights from the event. 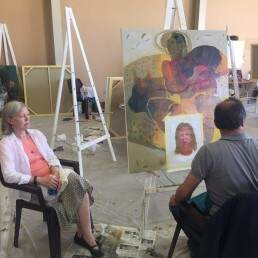 Inviting artists from 12 different countries including Egypt, Qatar, Bahrain, Morocco, Palestine and Iraq as well as Ukraine, Bulgaria, Russia, Belarus, USA and finally Jordan, the symposium took place in the city of Aqaba, at the new waterfront resort, Ayla Oasis. 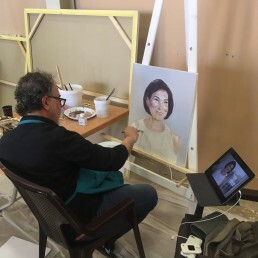 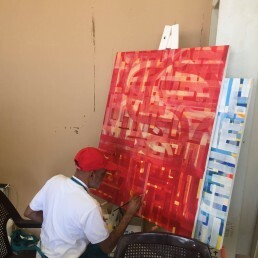 The 10-day event included workshops, which gave the artists the freedom to create their works in a collaborative setting, as well as artist presentations where each artist shared their unique experience as a creator. 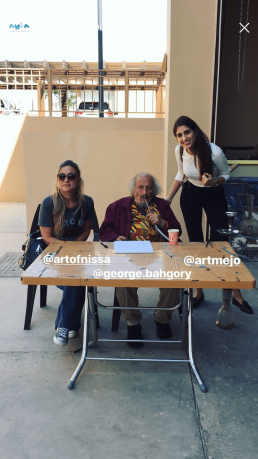 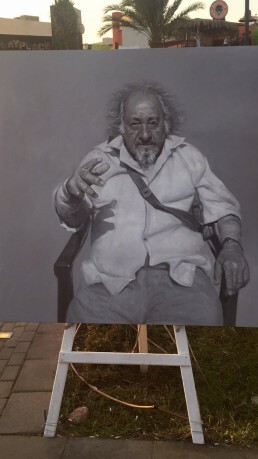 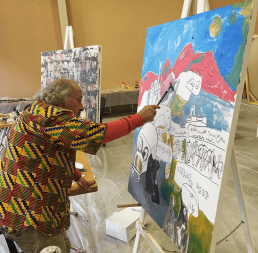 This edition of the symposium aimed to honor prominent painter, sculptor, cartoonist, and novelist, George Bahgoury and saw the participation of the world-famous French-Egyptian artist among the participants. 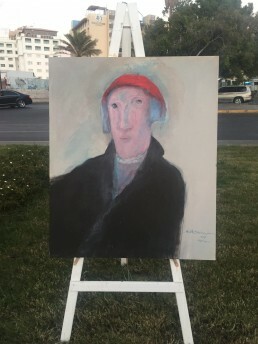 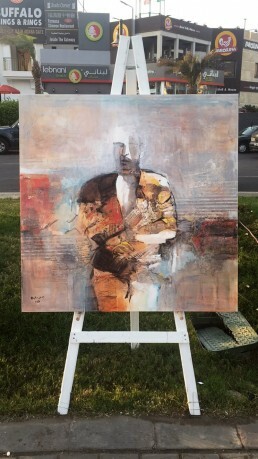 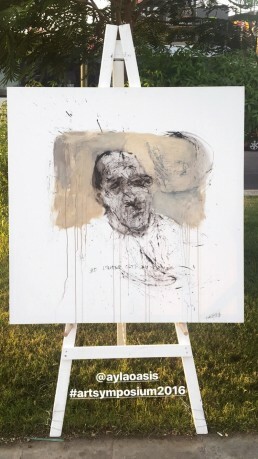 Participating artists included Ahlam Lemmseffer, Ali Amr, Amina Rezki, Bahaa’ Eldin Amer, Ebtesam Al Saffar, Eman Osama, Farouk Lambaz, Abbas Yousef, Hani Ali, Inna Pantelemonova, Ismael Azzam, Juliya Zhukova, Maha Ibrahim, Thomas Cox, Oksana Evdokimenko, Svetla Radulova, Tayseer Barakat and Mohammad Al Jaloos.